Lately there have been multiple movie directors talking about the advantages of film over digital when it comes to film making. Abrams has used film on projects from Star Trek to Super 8, as well as Star Trek Into Darkness. Recently it seemed as if film was headed the way of the Dodo. 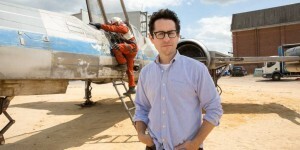 The first Star Wars film to be shot on film since 1999’s The Phantom Menace will by Star Wars: Episode VII. Director of Photography Daniel Mindel announced that he will be working with Abrams on the film, and they’ve selected Kodak film stock 5219 for the shoot. Just a quick aside: most people are mistakenly reporting that all of the prequels were shot digitally. This is not at all accurate. There was only one scene shot digitally in The Phantom Menace, and that was for a test. The movie was filmed back in 1997. It would be three years before they were confident enough to film Attack of the Clones entirely with digital cameras. What’s interesting to me, about this, is that he also shot both of his Star Trek movies on film, and both look as spectacular as any I’ve seen shot digitally. Digital is quickly catching up to film, and in many cases it’s matched film in quality. Sometimes it beats film in picture quality as well, depending on the atmosphere that you’re shooting in. I’ve been shooting digitally for about four years, myself, and won’t be going back to film for my own projects. I have a feeling, though, that movies shot on film will be on their way out in a few years, as more of the film stock producing facilities have been shutting down. Kodak has just been given approval on a plan that could help them get out of bankruptcy, though, so that might be a good help.